Home-lovers are inclined towards buying residential properties in Bangalore due to its location advantages. If you are willing to get an apartment in Bangalore, have a look at property in Basavanagudi, one of the most popular residential areas of the city. The area has undergone a phenomenal growth in infrastructure in the last few years. Several developers have come up with sophisticated residential complexes in the estate. The projects in Basavanagudi Bnagalore are attracting homeowners from various corners of the country. A large number of residents have already migrated to the apartments, while others are booking their apartments in the residential estates. Improved connectivity between the important places through an enriched transportation system enables the residents to move to their desired place. Well, Bangalore is known for its commercial importance. It is the IT hub of the country, with several blue-chip companies coming up in recent times. Employment opportunities are tremendous in the city, and this is one of the key reasons behind the popularity of the properties in Basavanagudi. With rising demand for these properties, the prices of apartments in the area are also increasing. Investors and homeowners willing to acquire an apartment in the estate can book their apartment now. 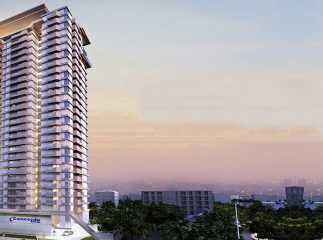 The 2, 3 and 4 BHK apartments are available across various floor areas. These have been developed for both the high-end and middle-income buyers. You will enjoy a classy housing infrastructure when you move to the flats in Basavanagudi. The residential complexes come with large open areas. You can enjoy the green zones within the complex, with landscaped gardens and a large number of trees. The residents experience a refines taste of living in the residential estates. The apartments in Basavanagudi come with sophisticated interiors and chic furnishings. You will enjoy the living ambience, with wide balconies, large windows and polished furnishings in the interiors. Book an apartment in these residential estates and enjoy a refined taste of living. A large number of shopping malls and multiplexes are located close to the plots in Basavanagudi Bangalore. You can enjoy a quick access to the important commercial areas around the area. The social infrastructure in the area is well-developed. A large number of schools are hospitals are located in close proximity to the region. The important schools in the region include Bangalore Higher Secondary School, Tiny Tots Play School and Day Care, Bangalore International Academy, Bangalore High School, Bangalore Public School, Bishop Cotton Boys’ School, and Bangalore International Public School. The Bangalore Hospital is located close to the region. The residents in the villas in Basavanagudi can enjoy an easy reach to these areas in quick time.